Back in January 2016, I had arranged a surprise 3 night stay for me and Josh in the beautiful city of Rome. It was for his 25th birthday and me being me, couldn’t keep this a secret so he did know we were going before Christmas, oops. Nevertheless, this meant we could look forward to it together and plan our short trip away, making sure we crammed in as much as possible! I was sceptical on what the weather was going to be like but was so thankful that the weather was delightful the whole time we were there. 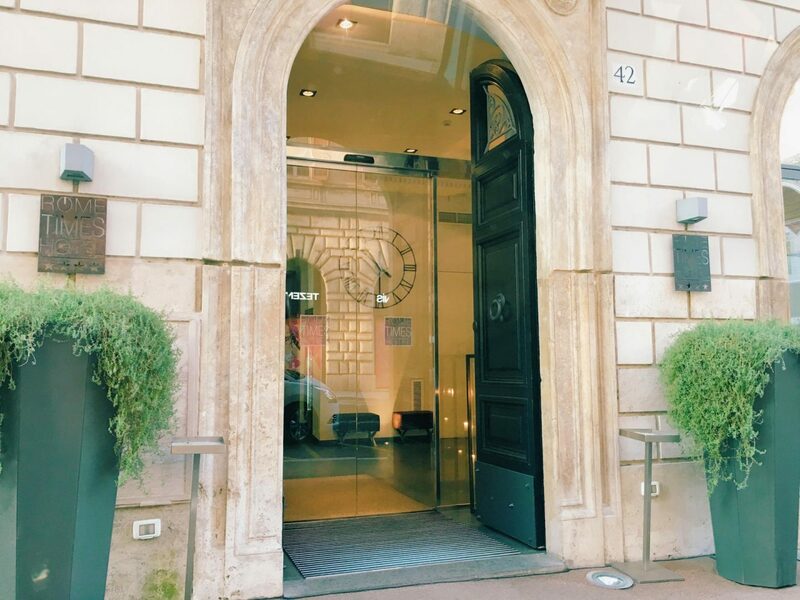 We stayed in the ‘Rome Times Hotel’ which was the perfect location to all the attractions. I was surprised at how close everything really was to each other, being only 10-15 minute walks. 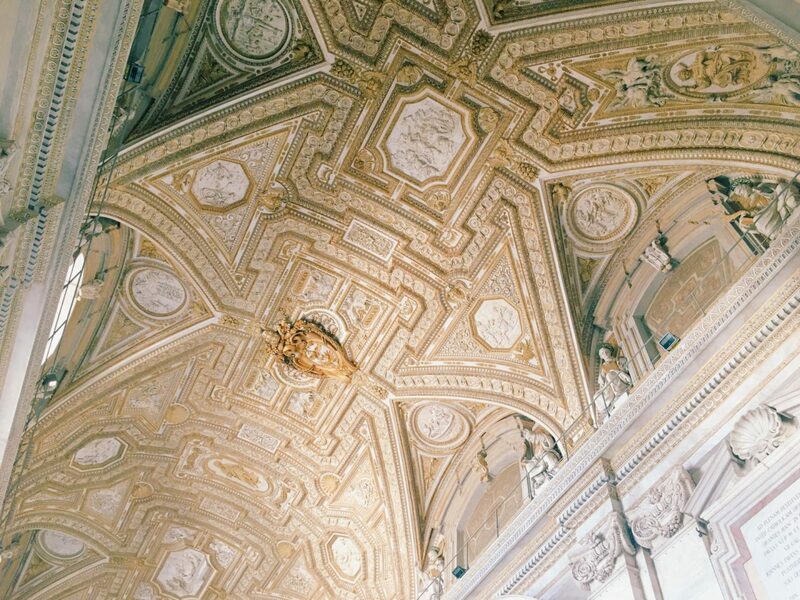 What fascinated me most about Rome was the cleanliness of the city. 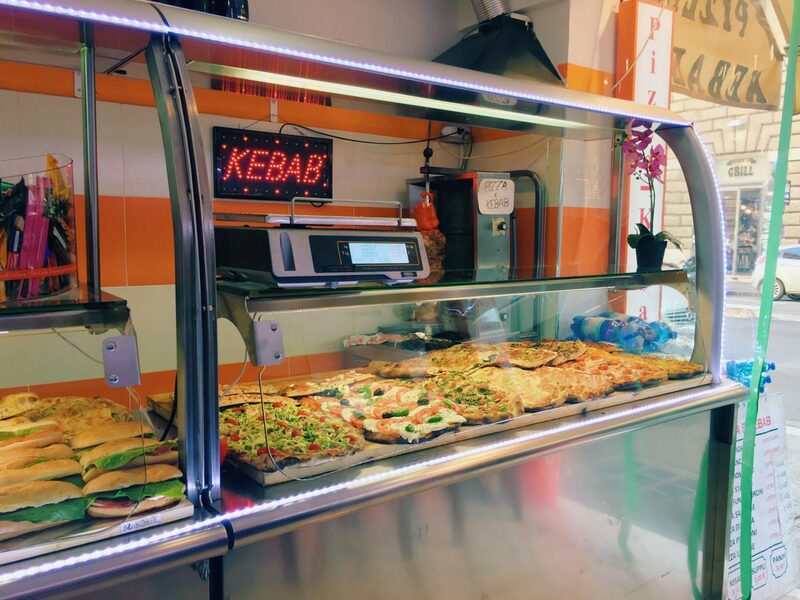 On our first day we tried to familiarise ourselves with the layout of the city, venturing down back streets and exploring what Rome had to offer. 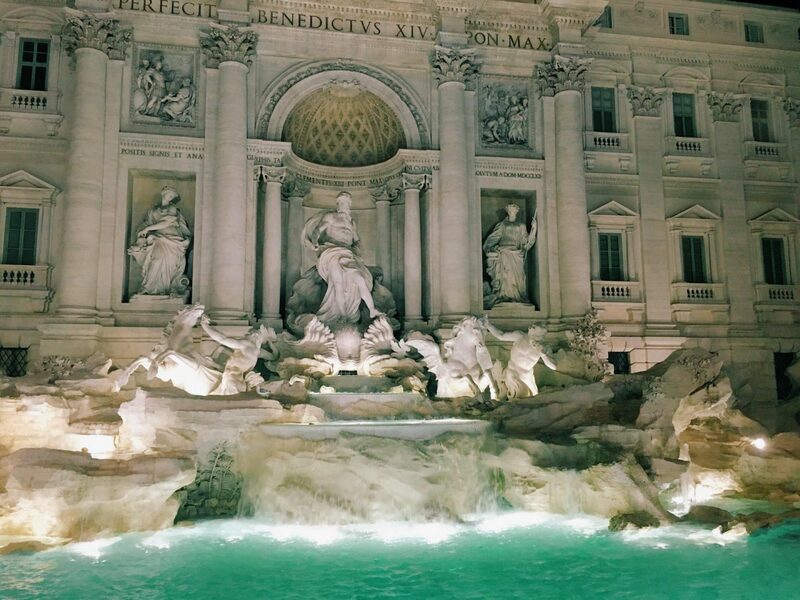 The first ‘attraction’ we came across was the Trevi Fountain, a stunning fountain made from beautiful white stone. We again visited the fountain on our last night which was much quieter and much more magical than visiting during the day time. The second time round, we managed to sit by the fountain and toss a coin in over our shoulders for tradition. For our second day, we woke early, eager to get ourselves out in the fresh Italian air. After a continental breakfast and plenty of English breakfast tea to wake myself up, we were determined to find the Colosseum, early enough to avoid crowds. 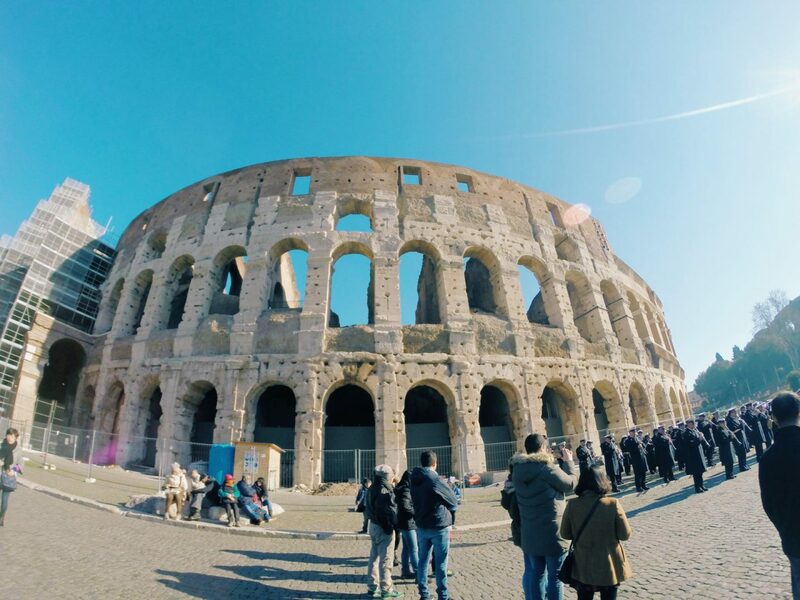 We were bombarded with folk trying to get us to go on tours and ‘enter the colosseum quicker’ but we decided to que and because the weather was great we didn’t mind queuing for an hour. 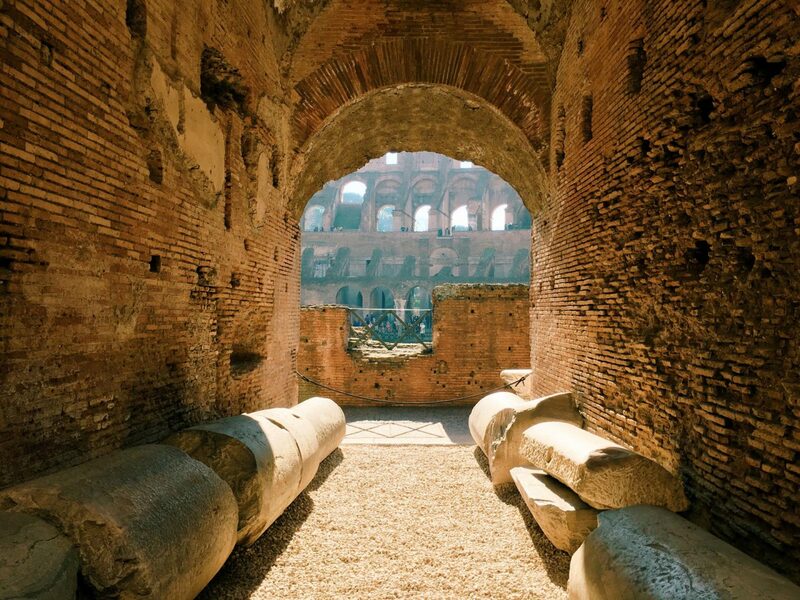 After entering the colosseum and reading about the purpose of the structure, I was taken back and simply couldn’t imagine the sort of life it was like all that time ago. 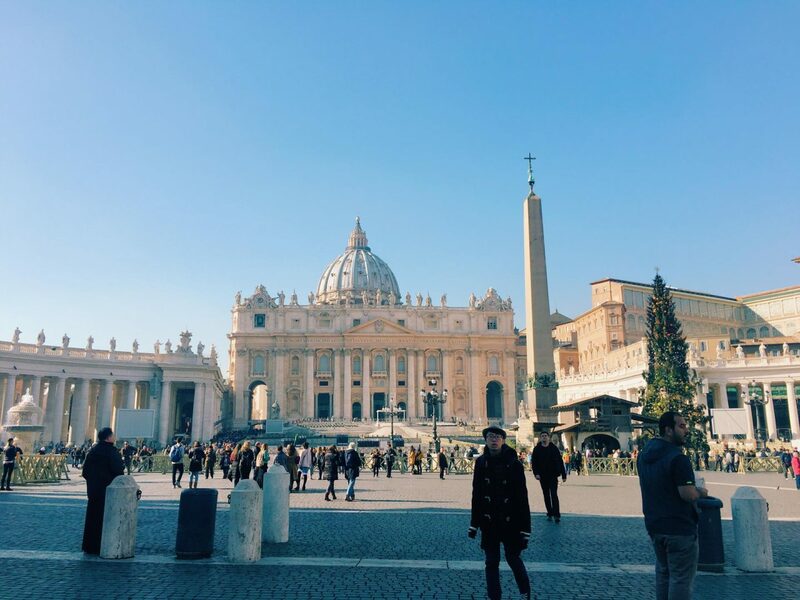 On our last and final day, we had to make time for a trip to the Vatican City. I had read forums online about getting there and people said it would take too long to walk etc. but I was adamant a walk would do us good and obviously what better way to see the city than on foot. After about 1 hour and a half after stopping at other attractions and getting photographs/souvenirs of our trip we made it to the Vatican. We weren’t quite sure where to go and somehow joined a que that was for St Peter’s Dome. On our way up we encountered tight passaged and narrow stair cases so I wouldn’t recommend this to anyone who is claustrophobic. 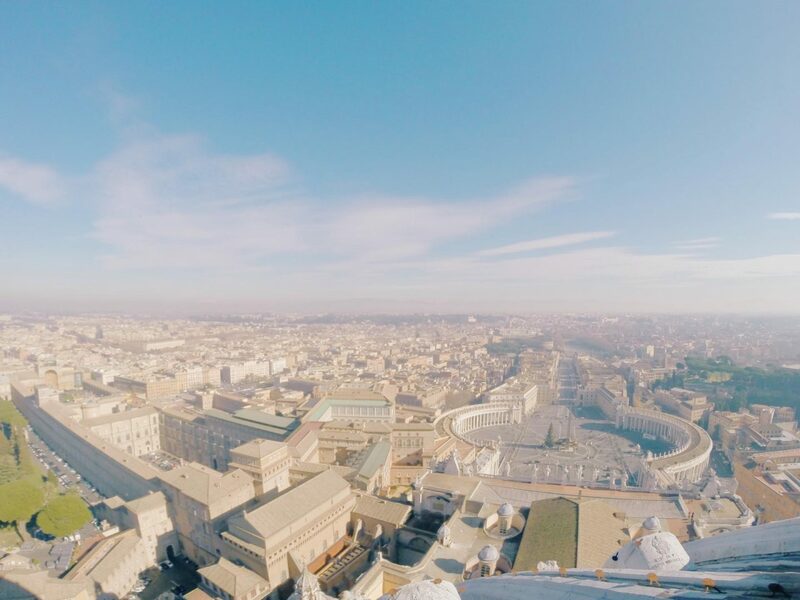 However, the view from the top of St Peters Dome is breathtaking and with a 360 degree view of Rome it is wonderful to see the route you perhaps took to get to the Vatican. 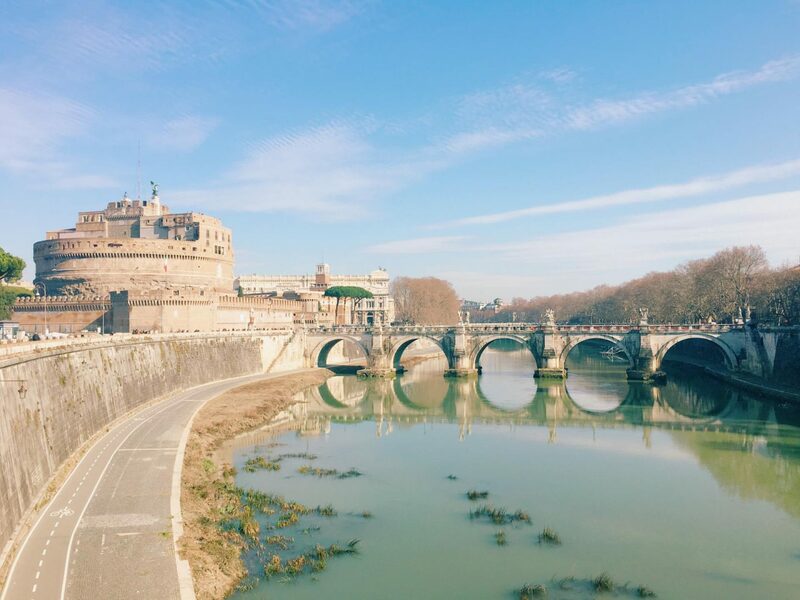 Have you visited Rome recently? What were your favourite attractions? Please leave a comment below and let me know what you think of this post!